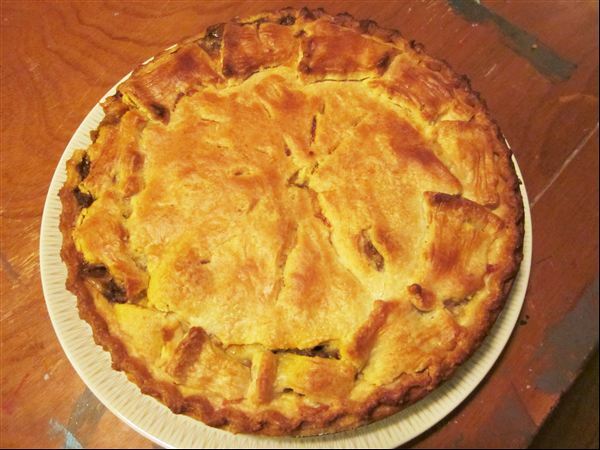 I had a hankering for meat pie this week so I made a ground beef pot pie. I roughly followed this recipe. I didn’t use a packet gravy mix though, I made my own. 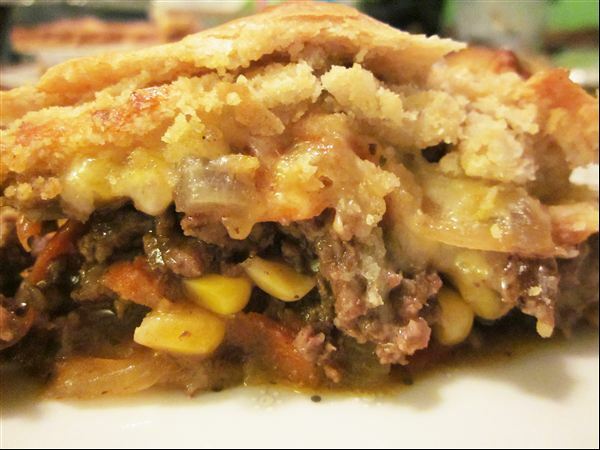 I used ground beef instead of cubed & I used what vegetables I had on hand, corn, celery & carrots. It was so yummy & easy to make. 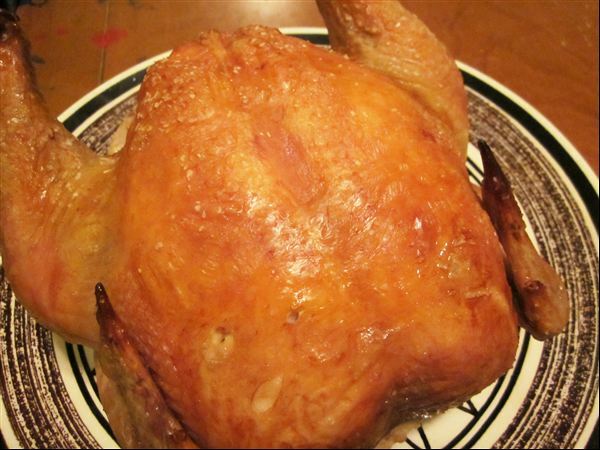 I also wanted to share my go to recipe for roast chicken. It always turns out great. Crispy on the outside, moist & juicy on the inside. Only two ingredients – chicken & salt. I always plan to add herbs, but I love the simplicity of just the salt. It always takes longer than 50-60 minutes to cook – I would say it’s about 80 minutes in all, I measure the temperature and make sure its 180F. I made a couple of new sweet treats. 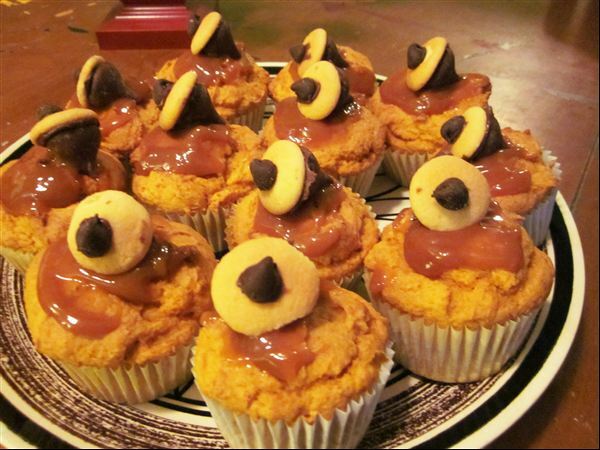 The first is pumpkin cupcakes. I saw the idea on Pinterest to use a box cake mix and mix it with a can of pumpkin – no other ingredients – to make a cake. I decided to try it out. I used a yellow cake mix, canned pumpkin & because I wanted to accentuate the pumpkin flavour, I added nutmeg, cinnamon, all spice & ground cloves. 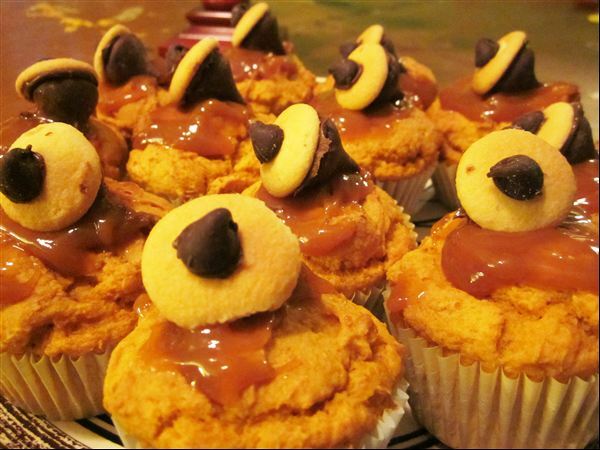 I chose to do cupcakes & topped them with caramel sauce & an acorn (made previously, here). 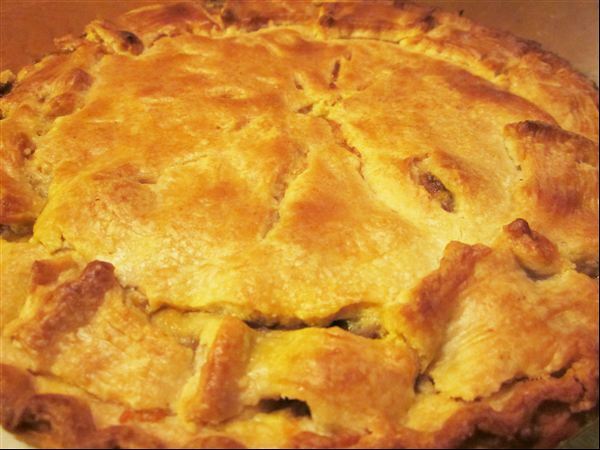 I thought they turned out really well – they were moist & very appropriate for Fall. I loved the caramel sauce too. 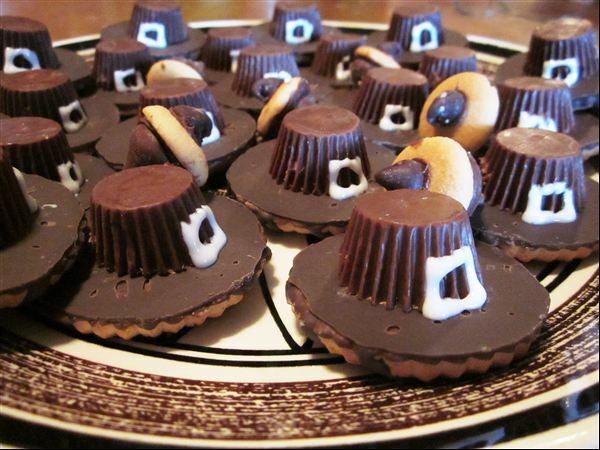 Finally, I made some fun little pilgrim hat cookies, seen here. I used fudge stripe cookies & mini Reeses peanut butter cups. I attached them together & drew on them with writing icing. Hope you have a tasty week! Categories: Cooking, Tasty Tuesday, Uncategorized | Permalink.